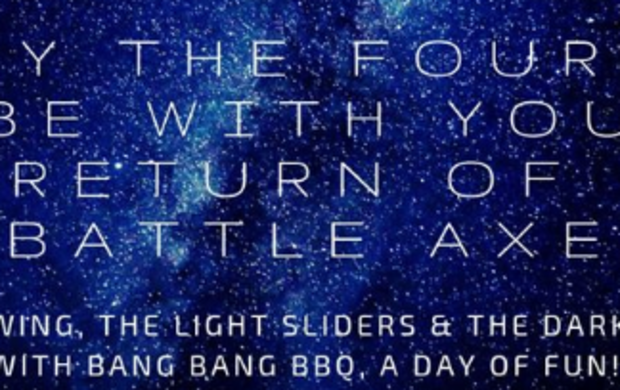 Return of Battle Axe, Bang Bang BBQ with intergalactic eats. Costumes encouraged! We're open from 12noon-9pm, the real fun starts at 3pm.